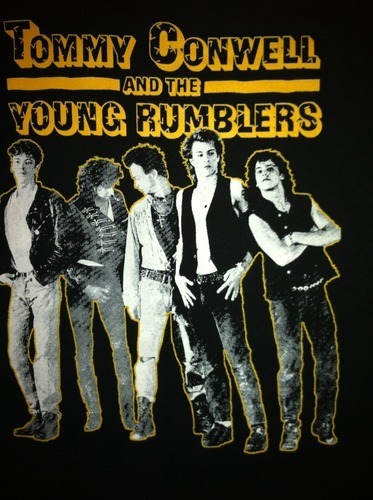 Those who grew up in Philadelphia in the 80s and 90s, will remember how important Tommy Conwell & The Young Rumblers were and how their music was the backdrop of their lives. In 1988 I’m Not Your Man topped the rock charts at #1, followed by If we Never Meet Again; In 1990 I’m Seventeen and Let Me Love You, Too also charted as top rock tracks. Tommy Conwell & The Young Rumblers had great regional success in 1986 with their independently released album, Walkin’ On the Water. The band’s national major-label debut came when Columbia Records released Rumble in 1988, followed by Guitar Trouble in 1990. A third album was recorded with MCA in 1992, originally titled Neuroticus Maximus, produced by Ed Stasium (Ramones, Smithereens, Soul Asylum).